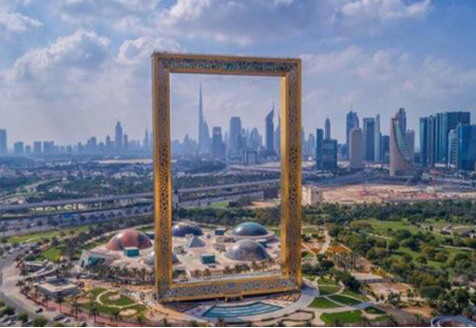 The construction of this magnificent structure began in 2009 andthe estimated cost wasDh160 million,its finally complete and open for visitors. 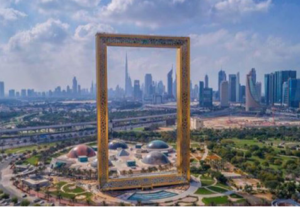 The Frame offers an incredible 360 degree views of Dubai, the 93 meter glass bridgewith The Frame stands tall at 150 metershigh and 93 meter glass bridge showcasing the past and present of the city. This marvel has already won an architectural award. Dubai is popular for its man made islands, in 2018 there will be yet another strikingly beautiful island close to Jumeirah Beach Residence. 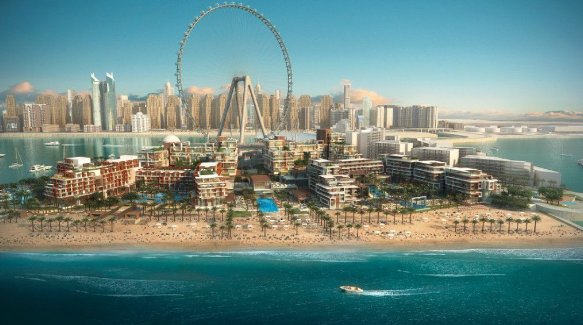 The Blue Water Island will feature luxury apartments, penthouses, townhouses, enchanting beach houses and numerous leisure, retail, and restaurants. 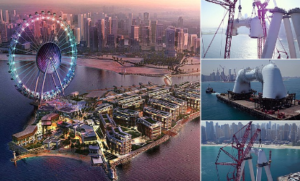 The Island will offer an overall enriching experience to visitors and its residents. Ain Dubai will be the largest Ferris wheel in the world featuring a 360 view of Dubai, the iconic development will be 210 meters tall and will be located at the Blue water Island amplifying its elegance. The brilliant development covered on an area of 4000 acres of land will posses six huge towers, marvelous golden buildingswith grand bridges interlinked with each other. Aladdin City is a result of superior workmanship and extraordinary finesse. The mega development will also have a 34 storey hotel. 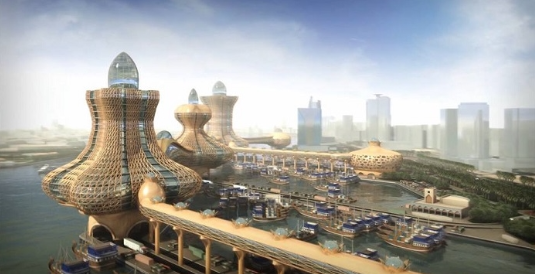 The city will be a marvel within a marvelattracting millions of visitors. 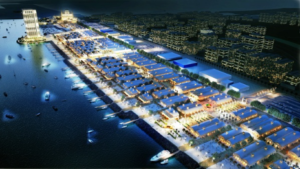 The development will be located on Deira Island which in itself will be 1530 hectares marvel, three times the size of Palm Jumeirah. 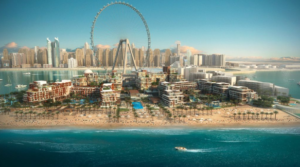 The Island will be a massive and intricate development featuring residential/commercial buildings, resorts with water park, beach front hotels, amphitheater, retail units and many leisure attractions. The Deira Island is expected to be the hub of entertainment, residence, dining/retail and tourism. This development is not simply just a mall, it is Dh1.1 billion wonder,world first nature inspired shopping mall. Dubai is popular for having worlds first records and this alluring development is just another exquisite addition. 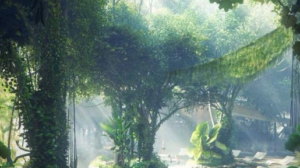 The mall will have one of a kind botanical wonders, colossal green reserve, open air garden with rich biodiversity any many more green miracles. Regardless of its nature based theme the mall will offer all leading brand outlets, F&B and Leisure. The Mall will and an exclusive direct access to global village. This is not an attraction but a great relief for commuters who frequently travel to an from Sharjah. Everyone is aware of the traffic from Sharjah to Dubai and vice versa. This bridge is opening in the mid of 2018 easing hectic traffic enabling 17,700 cars per hour. No more heavily congested roads. Rosemont Hotel and Residence will be an incredible development featuring reforest garden on a 4 storey podium and a man made beach. The residential development will be located inBarsha Heights.